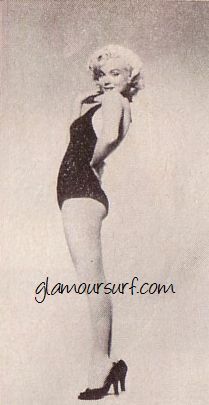 A few more pics of Marilyn Monroe continued from our post yesterday. Her health was fragile, she was shaky on camera and her career was ebbing when she made her last movie, The Misfits, in 1960. But the Nevada weather was fair and for a moment, as she emerged from a swim between takes, her smile contained a flash of the young Norma Jean. I think this has to be one of my favorite candids of Marilyn. Bo bo be doop, that's all today. Do you have a favorite? The "pilgrim" photo with the turkey is hilarious! I haven't seen that one before. my mother and i just finished a 1000 piece Marilyn puzzle..so much work gonna find a beautiful frame and hang it up soon! !